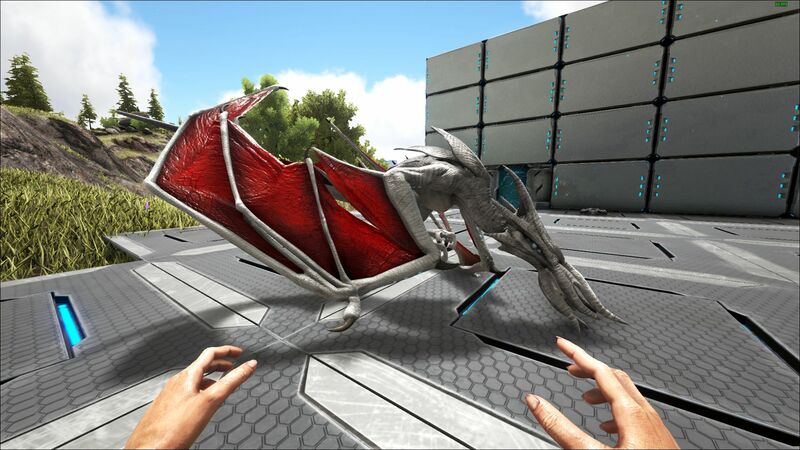 The Seeker is one of the Creatures in ARK: Survival Evolved's Aberration expansion. A highly hostile predator with a pack mentality, Chimaeram Odiosus has a voracious appetite, and will quickly swarm anything that possesses its favorite delicacy: Charge. Fact, Charge light seems to be crucial to its survival. When in its presence, they are strong and aggressive, but without it, they are weaker and quicker to flee. Though distinct from any known species, Chimaeram's appearance is a hideous pastiche of bats and cephalopods, and as an unbiased professional, I have to say: I really hate these bloody things. Honestly. For better or worse, there is no known method of taming Chimaeram Odiosus. If one must confront these creatures, remember to do so away from any charged light sources, as an empowered Chimaeram swarm can punch well above its weight class. The Seeker is actively aggressive, seeking out charge light victims, both humans and creatures. In the absence of charge light however unless approached close, they will remain passive and ignore you. found on the surface of Aberration, on the edge of the Wilderness, and in The Spine. This section displays the Seeker's natural colors and regions. 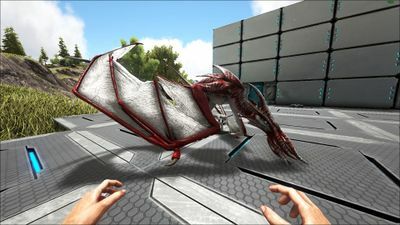 For demonstration, the regions below are colored red over an albino Seeker. The colored squares shown underneath each region's description are the colors that the Seeker will randomly spawn with to provide an overall range of its natural color scheme. Hover your cursor over a color to display its name and ID. For example, "cheat SetTargetDinoColor 0 6" would color the Seeker's "body main" magenta. The Seeker - The Surface is a variant of the Seeker that can be found on The Surface. It is identical to the normal Seeker. The Seeker can be a formidable foe by itself or in a group. The Seeker is not a tamable creature, so it is recommended to kill Seekers upon sight. Seekers spawn on The Surface of Aberration and beyond The Spine, they are capable of surviving the harsh environment, heat, and radiation. Turn off all or any light sources near the Seeker and do not fight near Plant Z or Glowbug, because charge from animals such as the Bulbdog cause the creature to gain a buff that doubles its damage, thus making it quite formidable, especially when there are multiple Seekers in a group. When clearing Seekers in caves such as the Hidden Grotto, use long-range, high-damage weapons such as the longneck or fabricated sniper rifle to quickly drop them before they enter your charge-light bubble. This allows your group to maintain charge-light protection. Alternatively, Charge Lanterns can be used to weaken Nameless while facing away from the Seeker being engaged, but this is difficult due to Nameless popping up from many directions. The Seekers are given a buff of 2x melee damage and regeneration boost when they are near a charge source. If one is nearby, such as a Bulbdog, then the Seeker will gain said buff, and this is especially dangerous if there is a large swarm of them attacking the player or a tamed creature. The Seeker becomes very weak when there are no charge sources nearby. If you are fighting one and you turn off any charge sources, such as a tamed Bulbdog or a little glowstick, then the Seeker will become weaker and may flee combat entirely, but Nameless is your problem. 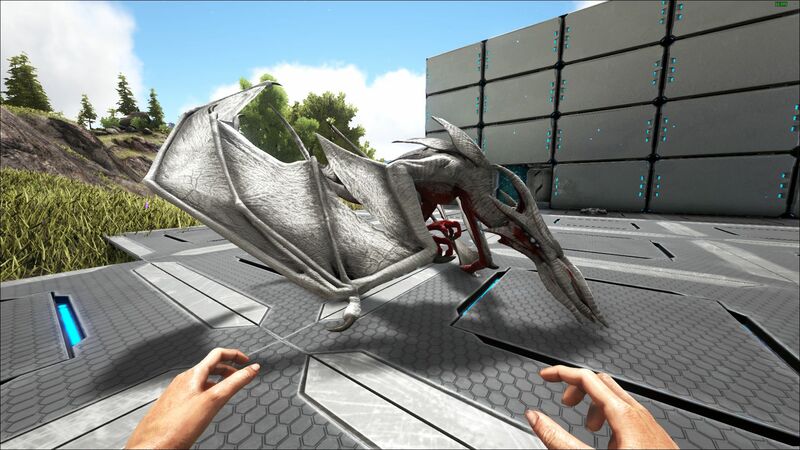 The creature was first announced in Community Crunch 104 on September 23, 2017. Phrased by Helena in the Dossiers FSBMM, quite accurately describing the Seeker, stands for Flying-Squid-Bat-Murder-Monster. The tentacles around the creature's mouth bare a resemblance to the feelers of a star-nosed mole, which may be intentional due to the subterranean nature of the map. This creature resembles the winged beast from the movie 9. The species name, Chimaeram odiosus, roughly translates to "chimera are annoying". The species file name, Pteroteuthis, is a portmanteau of Pteranodon and Tusoteuthis. The Dossier for the Seeker says in the text that there is no known way to tame them, however there is a check for taming and a survivor with what looks like a group of tamed Seekers as shown. 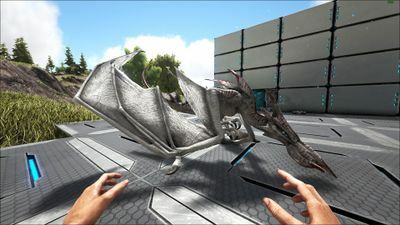 The method of taming was thought be part of an unimplemented/hidden mechanic until the announced v278 patch, showing the fact that Seekers are indeed untamable. This shares with Titanoboa, whose dossier states it is not tameable as well, but its taming method proves otherwise, if not difficult to both tame and maintain its hunger. Unlike Seeker however, it shows as a cross on the collar. If tamed using admin commands, the game asks you to equip it with a saddle, even though one does not exist for the creature. It can still be ridden, however, doing so will result in the player disappearing altogether and putting the seeker under control of the player, making it so that if Seekers were meant to be tamed, they were not meant to be rideable.